Tennant – whose performance as ‘The Doctor’ in the British science-fiction show Doctor Who captured the hearts of viewers for many-a-season – will star alongside Krysten Ritter (Jessica Jones) and Mike Colter (Luke Cage) in the upcoming A.K.A. Jessica Jones show from Netflix. Defined only as “an enigmatic figure from Jone’s past”, who will “send shockwaves through the former super hero’s world”, not much else is known about the character…other than the wealth of information which we can use from the comics to speculate how he will portrayed onscreen. 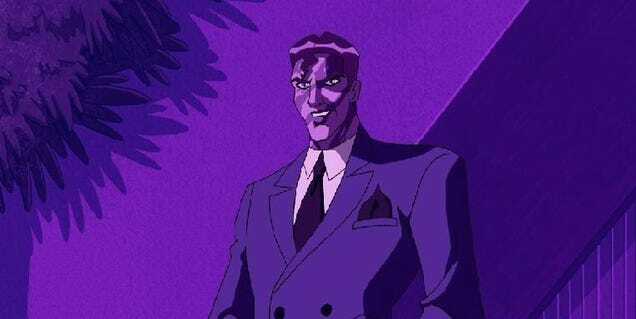 In the Marvel Universe, Kilgrave is known as The Purple Man. First of all, some pointers – in the comics, the Purple Man has been Russian. However this has been missed when he appeared in the Avengers: Earth’s Mightiest Heroes TV series, so I can imagine them overlooking this particular tidbit. However, what is interesting is the intensely strong connection Kilgrave has to the heroes Daredevil, Luke Cage and Jessica Jones. There is no mistaking how they’ve picked this character – this man is very, very well acquainted with Jessica Jones. The character features, and is shown to be a significant character in “Alias“, the Brian Bendis comic book A.K.A. Jessica Jones will apparently takes much of its inspiration from. I won’t spoiler anything; my advice is go read the book for context, or wait for the show to begin so you can see the adaptation with unbiased eyes.